This feature enables you to perform batch payments to your payroll entries. The feature facilitate the payroll process and saves users time. 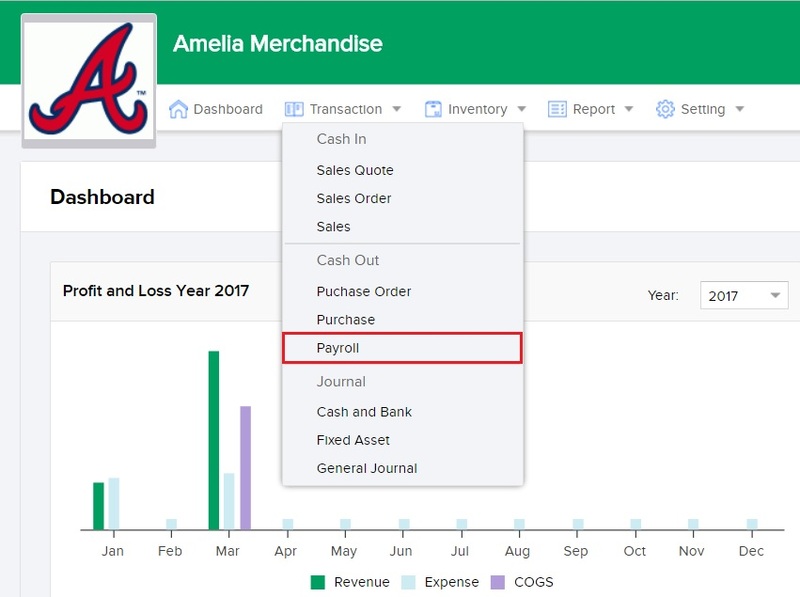 This feature is integrated with the journal module as the system will automatically create journal entries for every payroll transaction once the process in done. Choose the payroll entry you wish to perform a batch payment on. Fill in the Pay Date field with the date payroll is made. Fill in From Account field by choosing the account that will be used for making payroll payments. Determine Journal Payment Type: choose between one journal for each payslip payment or one journal for all payslip payments. Click on the Payment button once you are done and the data you filled in is correct. Click on the Cancel button if you wish to cancel your inputs and return to the previous page.